Over the past few years, there has been a great deal of back and forth in London regarding the London cycle hire scheme, which was introduced in 2010 with sponsorship from Barclays Bank. Popularly known as ‘Boris Bikes’ (named after the London Mayor who introduced them), these bikes have given Londoners yet another to get about town. But there are still some questions regarding the real value of a system like this. To begin with, critics point to the fact that fact that taxpayers end up paying a total of £1,400 for each bicycle every year, despite the fact that the programme already enjoys corporate sponsorship. Not only that – Paris operates a similar scheme that doesn’t require any outlay from taxpayers. In fact, it even generates a profit through routine use. But politics and taxation aside, would-be cyclers are still wise to take a long look at the practice of cycling to work rather than commuting. Cycling offers a variety of health benefits, and it’s certainly worth investing more time and energy into. At the same time, the savings aren’t always as dramatic as assumed. Of course, powering a bicycle with your own metabolism is certainly more affordable than filling the tank of a car with petrol. But it’s not as if these are you’re only two options. Public transport is highly affordable and not always so time-consuming. Plus, there’s the cost of actually purchasing and maintaining the bike. This is rarely a minor expense. Does Cycling To Work Really Save Money? But as it turns out, there is actually a webpage dedicated to calculating the cost of cycling to work. It takes the cost of your bike into account, along with the amount of time you have owned it and the time it takes you to cycle to work. This is then compared the amount you’re currently spending on getting to work. 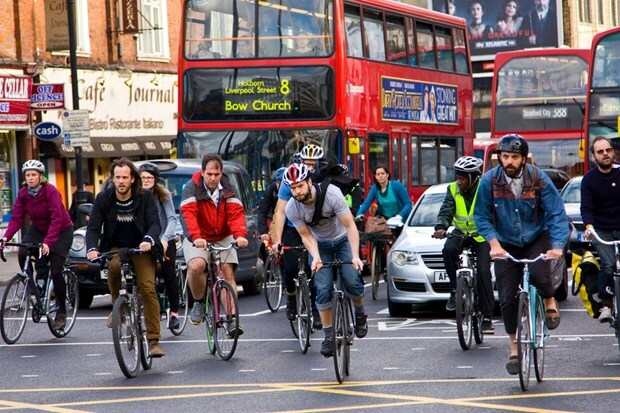 If you live in London, there’s a good chance you’ll end up saving a pound or two a day by cycling to work – especially if you take advantage of companies that offer discounts on bike’s and their accessories such as Halfords. It’s also worth noting that cyclists have something of a reputation for being impulse buyers. To that end, making the switch from using public transport to cycling to work isn’t going to save you much money if you end up spending a lot of extra money on accessories for your bike. Then again, if cycling doubles as a hobby, and the extra money you spend can be justified on that front, then it could all be worth it. It’s all just a matter of perspective. One of the reasons that cycling ends up being so worthwhile for so many commuters is that it’s about more than saving money. Riding a bike to work burns calories and keeps many people happier and healthier in the process. To that end, many consider it a habit worth embracing regardless of the expense.